"For this month's project, I decided to make a baby quilt. 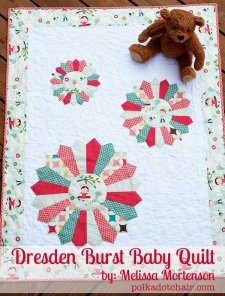 I love Dresden Blocks but didn’t want to make an entire quilt of them. 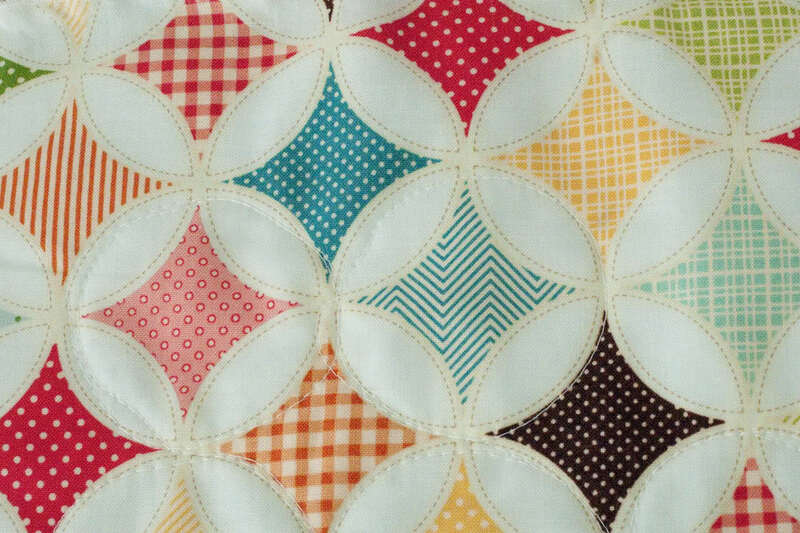 Instead I scattered 3 sizes of them on the front of a quilt.